There is no better place for custom art than where we spend time each and every day… in our homes, our workplaces, our public spaces. My goal is to use the magic of form and color to create a visual experience that will lift people’s spirits, adding beauty and serenity to their lives. 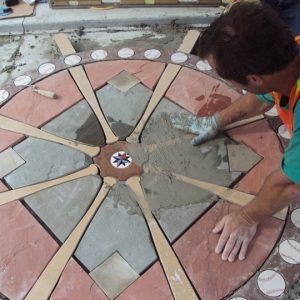 My architectural ceramic experience ranges from designing unique custom accents for homes to creating public art. I enjoy merging my ideas with those of my clients to express a unique vision and style. 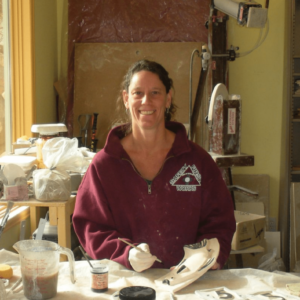 I have been a full-time ceramicist since 1994, beginning with a successful line of hand-built production pottery. I became inspired to explore architectural ceramics when my husband and I were building our own home in 2002. Since then, I have worked on numerous projects in collaboration with homeowners, designers, architects, and construction professionals.